What Should You Know About Merchants Bank EMV Chip Credit Cards? If you have a chip card, you will notice a small chip icon on the front of the card. At this time, Merchants Bank Visa Credit Cards offer EMV chip technology and have the chip icon. If you are a current Merchants Bank Visa Credit Card cardholder, your EMV chip card will be sent to you upon expiration of your current card. New cardholders will be issued a chip card upon credit approval. Not yet, but the trend is growing and if a store does not yet accept chip cards, you can still swipe your card to pay. 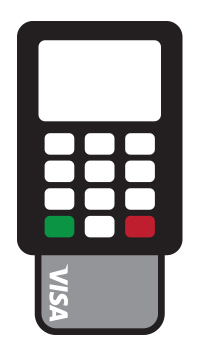 To learn more about EMV chip technology, contact the Customer Service Representative at your local Merchants Bank. If you are a business and would like to accept cards, or have a terminal that does not currently accept EMV chip cards, contact our Credit Card department. This entry was posted in November and tagged credit card, credit card rewards, Merchants Bank, Security. Bookmark the permalink.